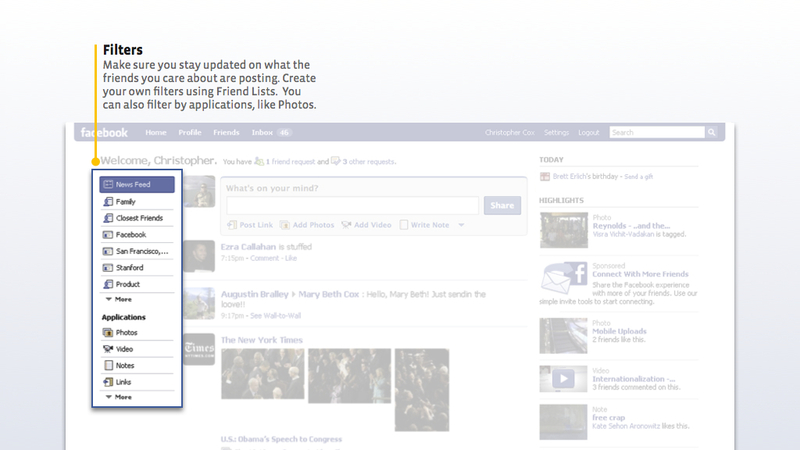 Here’s a clean look at the upcoming Facebook homepage redesign that will go live next week. 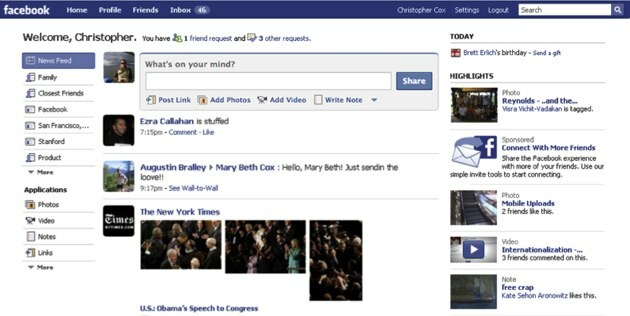 The new design will give users the ability to easily feed the news stream by friend type and network, and gives users a much easier way to post links, photos and videos. 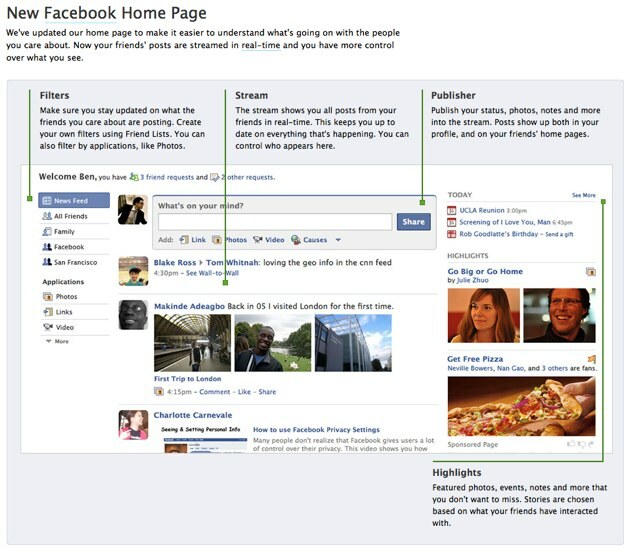 The news feed will also begin updating in real time without page refreshes. See more here. 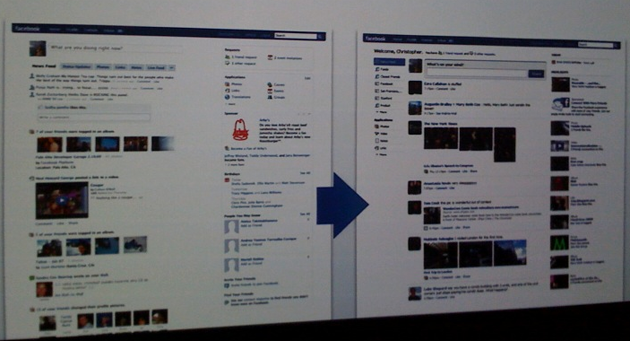 CEO Mark Zuckerberg also wrote a blog post summarizing the changes here. More screenshots below. The third one shows the new home page compared to the existing version.